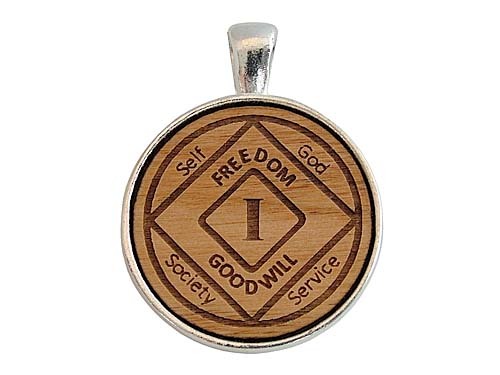 A beautiful combination of elements - wood and silver tone metal - these NA Anniversary Medallion Pendants can be worn on nearly any chain, bracelet, key chain, etc. 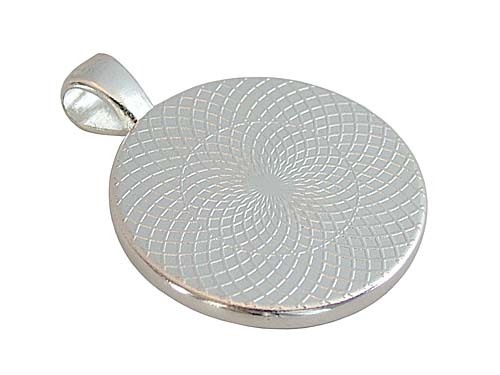 Each contains an exquisately laser engraved wooden token inset into an attractive silver-tone pendant tray. These beautiful pendants are available in any year designation and offer a unique alternative to other more common recovery themed jewelry. Dimensions: Approx. 1.09 Diameter (1.40" length including chain eyelet) x .10" thick.